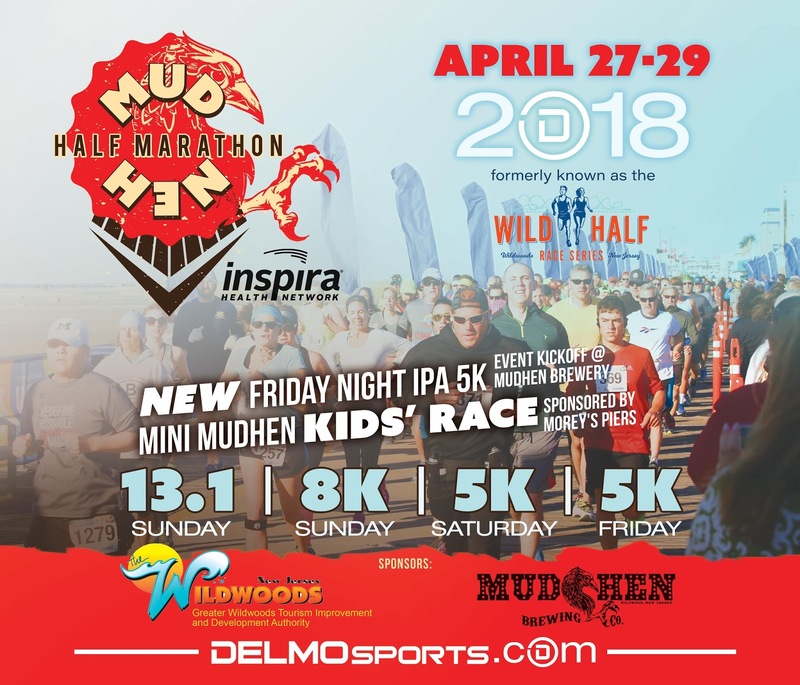 DelMoSports and the new MudHen Brewing Co. in Wildwood have teamed up to present the MudHen Half Marathon, 8K & 5K, formerly known as the Wild Half Race Series, and Kids’ Race presented by Inspira Health Network taking place along the Wildwoods coastline. The half marathon and 8K will take place on Sunday, April 29. There will be a 5K and a “Mini MudHen" half-mile kids’ race Saturday, April 28. New this year is a Friday Night IPA 5K on April 27 beginning at 7 p.m. The night kicks off with a ribbon cutting ceremony for the all new MudHen Brewing Company at 6:45pm. Immidiately following the 5K will start and finish in front of the MudHen Brewing Co., located at 127 West Rio Grande Avenue. This run course is a combination of closed roads, boardwalk, and bike path. A fantastic after-party awaits finishers of all ages for awards and prizes at the MudHen Brewing Co.
On Saturday, April 28, the “Holly Beach” 5K race will begin at 9:30 a.m. on the Boardwalk outside the Wildwoods Convention Center. Also on Saturday, children 12 and under are invited to participate in their first "marathon". 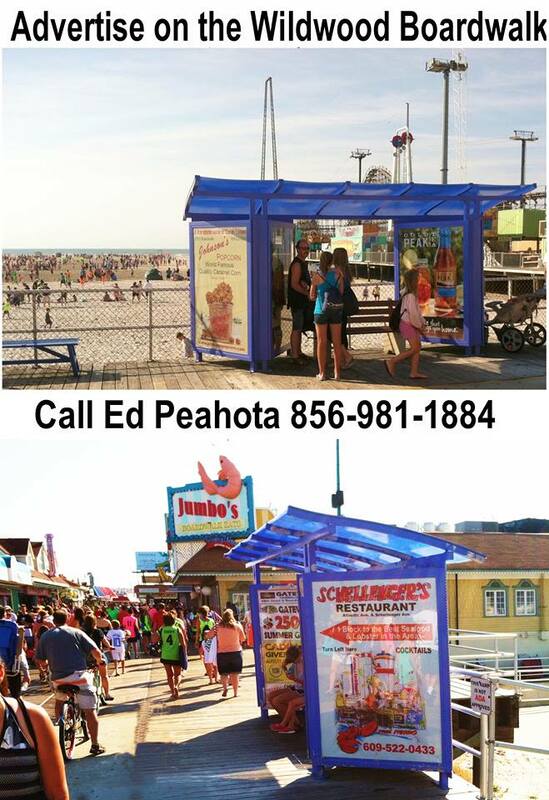 Beginning at noon, the Mini MudHen Kids’ Race presented by Morey’s Piers and Beachfront Waterparks starts and finishes on the Boardwalk outside the Wildwoods Convention Center. 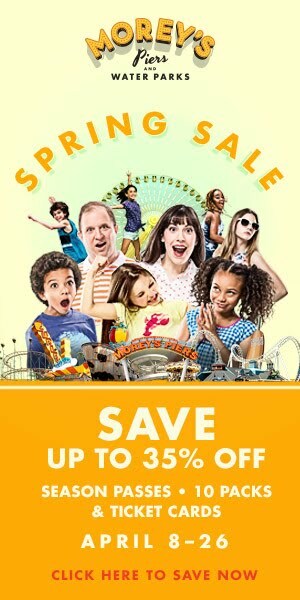 All children receive a complimentary pier pass to Morey’s Piers and beachfront Water Parks. On Sunday, April 29, the MudHen Half Marathon will feature the love of running combined with the fantastic coastline of the Wildwoods and surrounding communities for one amazing 13.1-mile half marathon as well as a 4.8-mile race (8K) accompanied by picturesque sights and sounds of the Wildwoods. The course takes runners from stunning views of the coast into the action and excitement of the boardwalk, creating an unforgettable event. Courses will feature hundreds of volunteers, well-stocked aid stations and a finish line celebration in front of the Wildwoods Convention Center. The Half Marathon and 8K will begin at 7:30 a.m. followed by an awards ceremony at Fox Park on Ocean Avenue across from the Wildwoods Convention Center and an after party at the MudHen Brewing Co. featuring live music, food and MudHen Brew. All race events are rain or shine. 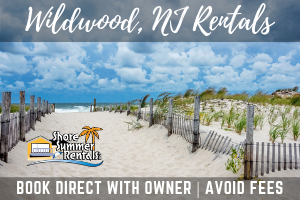 For additional information, to register, or to view the full schedule of events for the weekend, visit www.delmosports.com or call 609-849-8908. Founded in 2004, DelMoSports, LLC is a boutique race company specializing in elite destination events along the southern New Jersey shore and Delaware. Their unique and award-winning events include IRONMAN 70.3 Atlantic City, the Atlantic City Triathlon, Tri the Wildwoods Triathlon, Escape the Cape Triathlon and Open Water Swim Classic and the Inaugural Women’s Philadelphia Triathlon. DelMoSports is launching 2 new running events in 2018 including The MudHen Half Marathon 8K, 5K & Kid’s Race in Wildwood, NJ and the Crest Best Run Fest featuring a 10 miler, 5 miler, 5K and Kid’s Race in Wildwood Crest, NJ. Known for high quality, athlete-centered productions with an emphasis on community involvement, DelMoSports events provide challenging courses, spectacular scenery, amazing vacation opportunities and world class customer service for athletes and their families. For more information on DelMoSports, visit www.delmosports.com.